When did you first begin to write? When did you decide to write in Gaelic? When I was at school we had Watson’s Bardachd Gaidhlig, which ended in the early decades of the nineteenth century. There was nothing to prompt me to think of myself as being a member of a Gaelic literary community if you like – until I was about twenty-five and I went to Longside College in Glasgow where I did Higher Gaelic, and discovered, through a lovely man from the Isle of Barra, Ruairidh MacNeill, the works of people like Sorley Maclean, Iain Crichton Smith, George Campbell Hay, Derick Thomson, Donald MacAulay. Having been struggling to find myself as a writer, not with any great success in English, I was suddenly aware that there was a contemporary Gaelic literature. That’s when I started trying to write Gaelic, but at that time I still felt that the English poetry was the poetry for important subjects; the Gaelic poetry was for exploring personal emotions, which meant love poems obviously, but also poems about background and religion. Can you remember the first poem you ever composed? After composing ‘The Divide’ and then ‘The Death of the Piper’, I suddenly found myself thinking that the community I know is dying. I had to record it. I had to celebrate it. I had to present the fact that it’s dying. That became my statement in English about the Gaelic world. I suppose part of me didn’t feel that there would be a Gaelic audience there to read the message anyway. In ‘An Tur Caillte‘ (The Lost Tower), you see yourself as ‘swimming in the dangerous mud / between the roots of my two languages.’ Does your English and Gaelic poetry spring from the same root or are they essentially different? I think everything you do taps back into who you are and where you come from. Yes, I am tapping into the root which ultimately is Gaelic, but at the same time, from the age of five till the age of twelve, Gaelic had no status in my life, so it’s a very early stage to have another culture, another language, another outlook on life given to you and then presented as the norm. So there is a duality. You have written passionately about the Gaelic language, notably in ‘Thug Thu Dhomh Samhradh‘ (You Gave Me Summer), where you appear to be optimistic about the future of Gaelic. How difficult is it for a writer to write in Gaelic in the face of ever decreasing numbers of speakers and a very small readership, which some have estimated to be no greater than a few hundred? Ever since I found myself committing to the fight for the language, it’s not been a question of whether the audience is rising or falling. My concern at the moment is that the language is still very much on the thinnest of threads of survival and things have to be fought for. 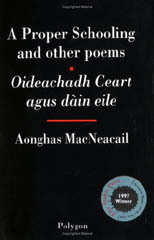 Money has to be put into reprinting and updating translations of the works of MacMhaighsitir Alastair, Donnchadh Ban. Anything that’s of value in the Gaelic past has to be brought into play in the Gaelic present. Do you see your poetry as a continuation, a development of the Gaelic tradition? Oh, I think so, yes. Very few people break totally with their own tradition. You will inevitably take other elements in. Some people may look at my work and say that there is very little Gaelic influence there. But if they actually listen to it, if they go underneath the surface, they will find the rhythms are there, the assonances are there, the use of imagery and gnathas (idiom) and so on. Gaelic is a very idiomatic language and I think that’s what makes it a wonderful language to use as a poet. You can make phrases that have the flavour of idiom even if they have never been idioms, and that’s part of the tradition and the continuance. Writers are inevitably influenced by other traditions and other writers. What is it that attracted you to the works of the Latin American, Pablo Neruda, and the Czech, Miroslav Holub? 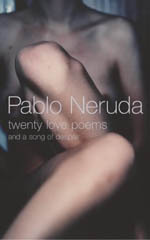 In Neruda’s case, it’s the wonderful uninhibited flow of language and imagery that he uses. He’s prodigal with language, with imagery, but in a controlled way. Holub is different. He is a scientist and brings the clear scientific eye to his subjects with a tremendous clarity, but also a tremendous sense of the importance of the image. The metaphorical quality in his work gives me a feeling of looking at a drop of water, the clear reflection, yet the things within, the things that are reflected in the drop of water… there is a sense of brightness and perfection, and yet – not distortion – but things not being all what they seem. You’ve got to read under the image as well. As far as other cultures are concerned, there are many aspects of Japanese culture that appeal to me greatly, the outlook on life for example. Their society in the past was a very similar clan-based sort of society to our own. Native American culture appeals to me for the same kind of reasons. Looking out to other cultures, you’re also looking at connections with your own. You have written many long poems. Do you see them as differing in function from your shorter lyrical poems? A long poem has got to be, by and large, a much more meditative thing. I am interested in the long poem as a form to explore, but I am also interested in pursuing the lyric as a way in which quite powerful emotive things can be dealt with in a very potent and expressive way. 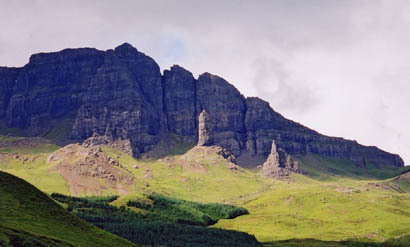 What inspired your great long poem, ‘An Cathadh Mor‘? What inspired that was being brought up on the west coast, and every child’s passion for snow. There is something magic about snow. 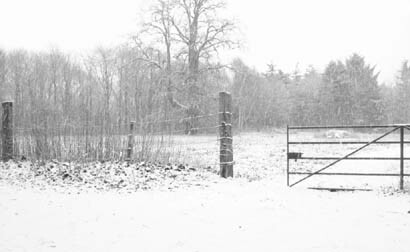 I remember one extraordinary day when we were sent home from school in Portree because of snow. When the bus got to the top of the hill, just about to enter Uig, it could go no further. It was blowing a blizzard. So we had to come off the bus and then we walked in convoy down through the village. By the time we got half way down, the snow had stopped. By the time I got home, the sun was shining and the snow was melting off the hillside behind our house. Any dream of sledging or having fun in the snow vanished. So in a sense it came at that level out of a frustrated passion for snow. My passion for snow as a child was never fulfilled. But the poem became a meditation as well. There are a lot of other things in it. You’ll see references to the triple goddess and things like that. It became the whole question of whiteness and purity. Purity carries its own dangers. This wonderful white thing that can make the world look so beautiful for a few hours can also kill livestock and people and so on. Underneath it all there is a reworking of my attitudes to the religion I was brought up in. I’ve had this notion for a long time of wanting to write a poem, trying to balance that unitary patriarchal God of my childhood with the more diffuse and varied deities of the Celtic past. That’s unstated but it’s implicit. There’s a love element in it as well, as there frequently is in my poetry. I don’t know how much of it was planned and how much of it I discovered. It took a long time to write. It was a reworking of my obsession with snow while working out various other obsessions as well. It could be said that your poetry is built upon the elemental images of rock, sea, shore, wind, sun, moon and stars. 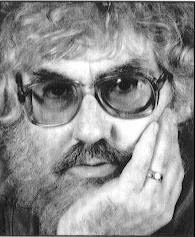 Most of the things I wrote in the early days that really were successful were to do with childhood or to do with nature and the land and the sea, these things that I had grown up with. They were responding to the environment I happened to be in. It’s partly to do with where you and your people come from. My family, my uncles and my father were all mariners. They were all people who worked on the sea. You’re close to the sea. You’re aware of it. Love and nature and politics and language are, I suppose, my great preoccupations, my great obsessions. Another symbol which crops up time and time again in your poetry is dannsa (dancing). What does it symbolise? I think it’s in the poem I’m working on just now in English. Well, dancing and singing, I suspect, may very well be like my obsession with snow. I cannot sing and I cannot dance. I can do neither well and yet I love the idea of both. I think there is a ritual quality to the dance. The Native Americans used to dance to prepare for war, to appease the elements, when they were looking for rain, and so on. Dance is a very essential ritualistic and shamanistic element in our lives. The ‘dance’ in my work tends to be intellectual; cerebral rather than physical. It carries that sense of dance as something that is intrinsic to us. Does your use of dannsa represent in any way a reaction against the Presbyterian ethos? It does, but it goes a bit deeper. The poem ‘Tha Gaidhlig Beo‘ ends with ‘dean dannsa, dean dannsa, se obair a tha ann a bhith dannsa‘ (dance, dance, it’s work to be dancing). I like to think that it carries a wee wagging of the tongue at the Presbyterian churches which regard dance as something secular and bad. My point is that it’s work if you like, it’s an essential, a necessary element in our lives to be dancing. It’s not just frivolity, it’s not the work of Satan, it is something essential that you should not reject. Why did you give your Gaelic collection the title An Seachnadh? Is ‘An Seachnadh‘ (The Avoiding) an important poem for you? ‘An Seachnadh‘ is a poem that can be read as a love poem, in the form of a poem about drink, or as a poem about drink in the form of a love poem. It has to do with the uneasy relationships one can have with both, alcohol particularly and also with love. Love between two people can be fraught. 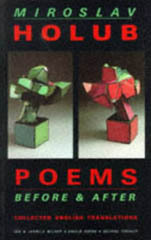 Although religion does not figure in the poem itself it’s implicit in the title. That’s why it seemed to fit as a title for the book. We have tended to avoid our responsibilities and take refuge, sometimes in cosy nostrums, or even in the nostrums of Presbyterianism which certainly are not cosy – but we’ve tended to take refuge in easy solutions rather than recognise that we’ve got to go for it. We’ve got to confront who we are as individuals and as a society. I am a bard; the only way to define me in Scottish Gaelic is as a bard. The bard as we know him has always had a certain kind of public persona. There is a part of me that feels I’m speaking for my own culture, otherwise I may as well just shut up. Much of your poetry is marked by a regular headlong rhythm and repeated or echoed lines reminiscent of traditional metres. There is always a sense of rhythm. I always hear echoes in my mind. If I hear echoes of Gaelic metres in my head, I don’t hesitate to use them, but I will not sit down and consciously say I will take example 25 from Watson’s introduction to Bardachd Gaedhlig. Shamans use the repetitive element of the drumbeat to send themselves into their meditative trance. I am interested in that beguiling quality that language can give of taking you into its sounds, so that its means becomes conveyed almost by osmosis rather than by intellectual reaction to the language. How do you think that the dearth of literary criticism on Gaelic literature has affected the modern Scottish Gaelic writer? It’s certainly not for the good. I don’t think that we are complacent, but the lack of critical register in Gaelic for Gaelic writers is something that means there is no barrier against complacency if you like. There isn’t a natural barrier. The barrier is a psychological one inside our own heads, and I suppose what, in a sense, provides that barrier for us is the fact that we translate into English. The translation has to come up to some standard – but here again nobody is measuring the standard from the Gaelic point of view. What sort of books do you tend to collect? A lot of poetry, and Highland history, biographies of people from the Highlands. Also books about the Native Americans are particular favourites. Japan has interested me for a long time as well, so I tend to buy books on anything to do with Japanese culture. I’m not the kind of person who buys books for their value as collectable things. It’s the content that matters. But it’s always good to have a book that’s easy to read, that’s easy to hold. Robert Mullally is a member of Edinburgh University’s Department of Celtic.